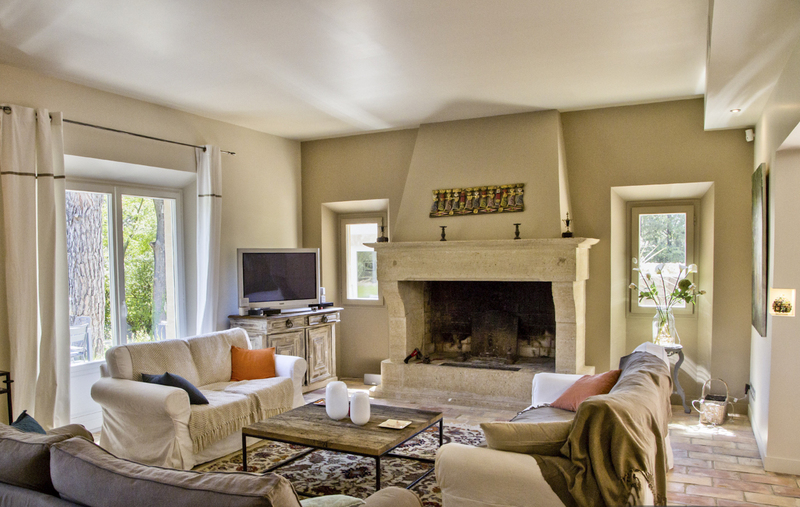 Just a short walk from the idyllic village of St-Rémy, this delightfully restored farmhouse is the perfect place for a family or group of friends to enjoy all that Provence has to offer. During cooler months you can light a fire in the old stone fire-place in the homely living room or step straight out the double doors for meals al-fresco on warm summer evenings. 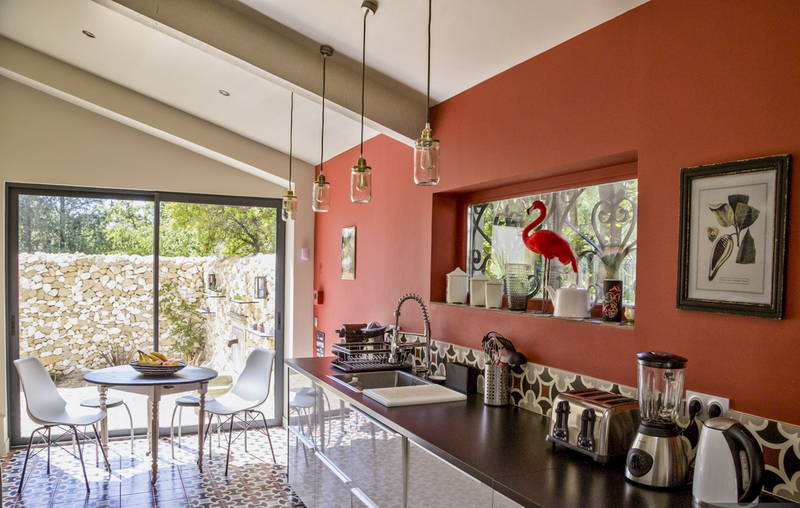 The bright modern kitchen is full of vibrant colours and characterful tiling, a lovely spot for your morning coffee with wide sliding doors leading out to the gardens. 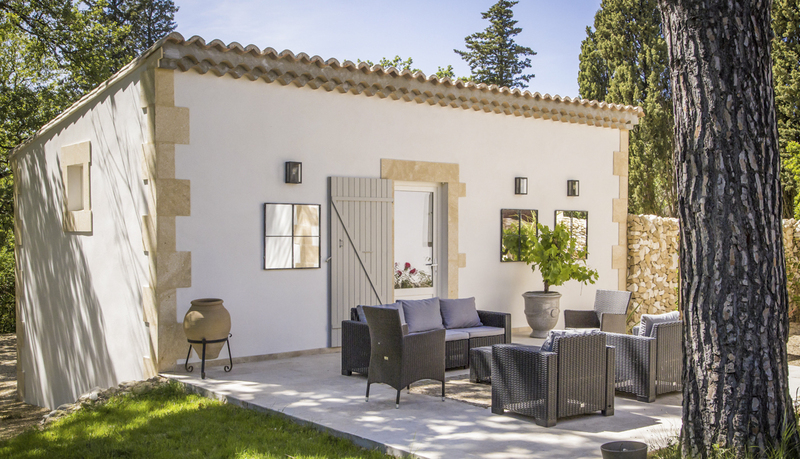 The four bedrooms have been decorated beautifully with warm, natural tones and stylish en-suite shower rooms, some overlooking the glorious pool and gardens. 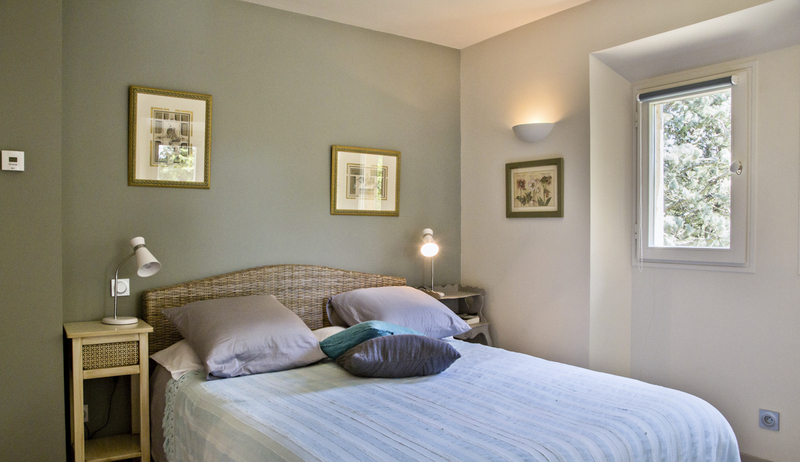 Furthermore, just by the swimming pool is a Mazet, a separate annexe which is included if renting the villa for 10 guests. 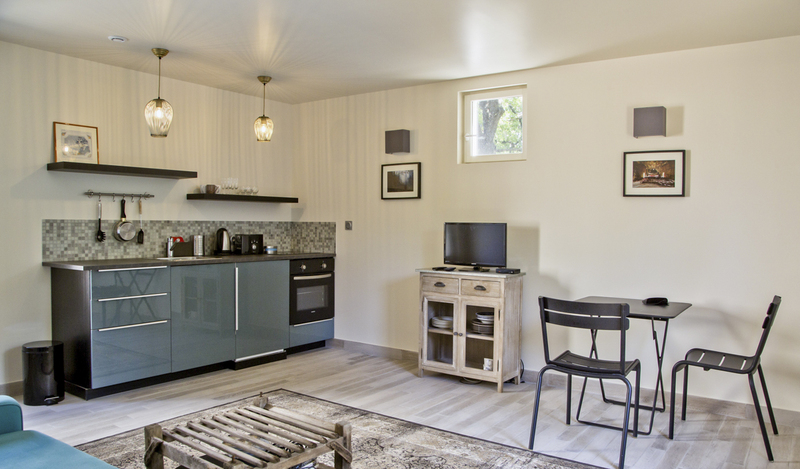 Inside you will find a living room and kitchenette, as well as a en-suite double bedroom, a perfect option for visiting grandparents or those seeking a little independence. 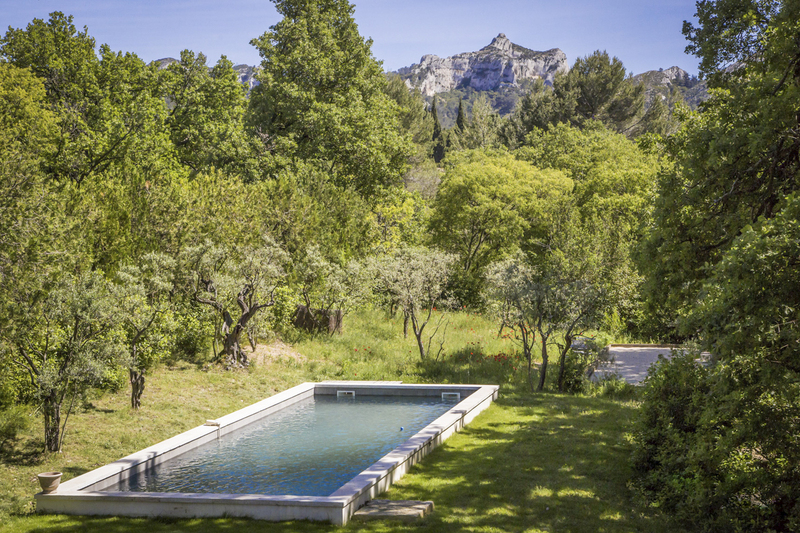 In your own corner of Provence, surrounded by tall trees and stone walls, you can capture a glimpse of the dramatic Alpilles mountain range from your relaxing terrace. 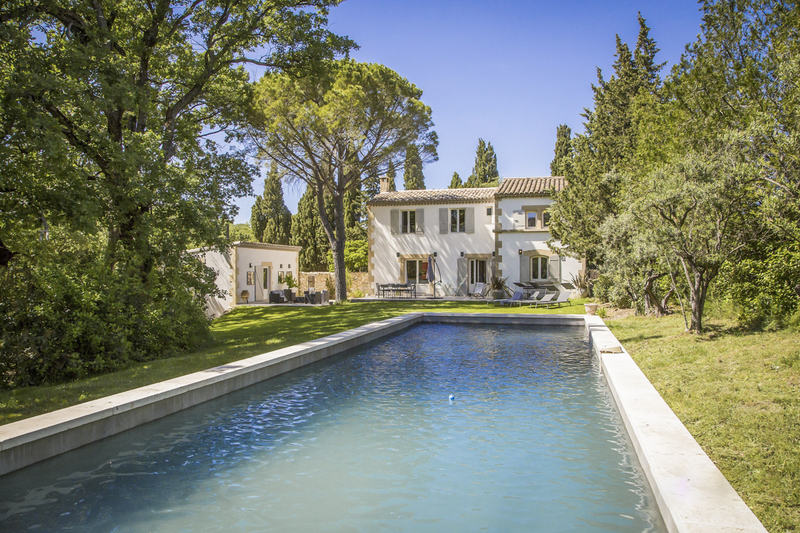 Outside there is ample space to chill out on the terrace or dip into the 13m long pool and gaze at the surrounding oak and olive trees as you swim. 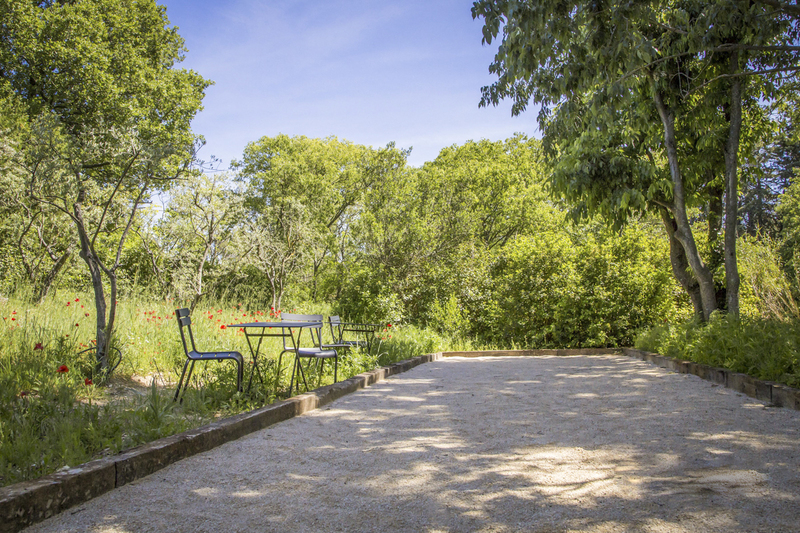 Find a shady spot in the lovely wooded gardens to read a good book and listen to the birdsong. 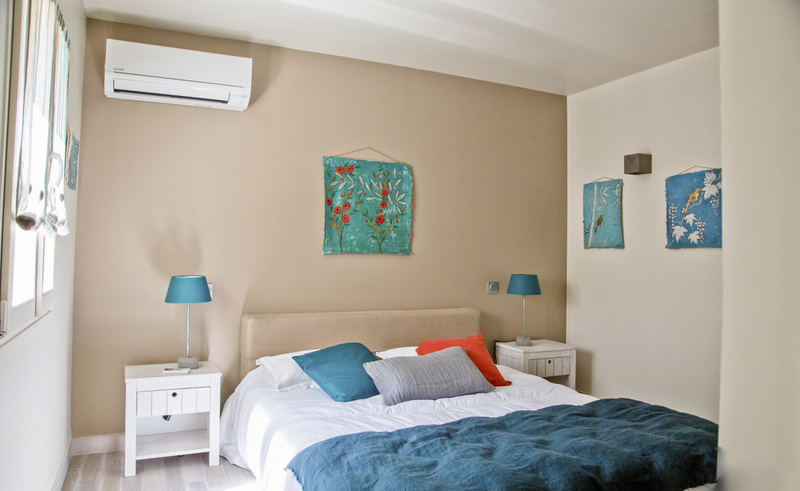 It’s just a fifteen minute walk to nearby St-Rémy, well-known for being popular with artists including Vincent Van Gogh. In the summer months, on selected Sundays, the ‘Route des Artistes’ fills with local artists showing off their work creating a wonderful and bustling atmosphere. The village is also famous for its many restaurants, from down to earth bistros found on pretty narrow streets to Michelin starred establishments. Food lovers, don’t miss the market on a Wednesday morning! 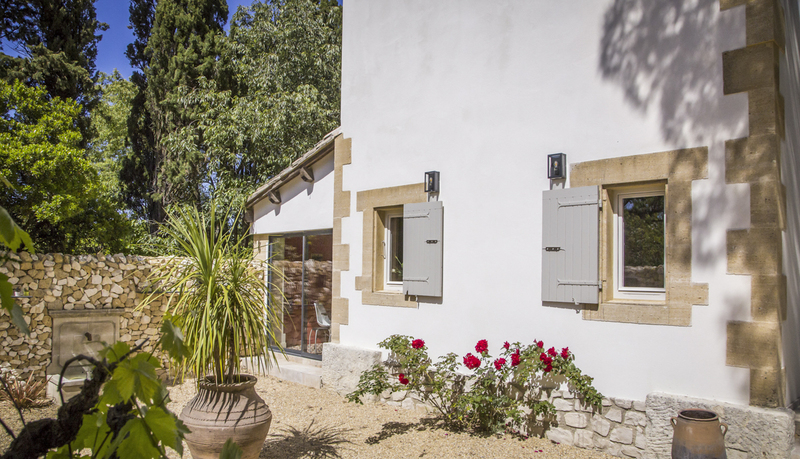 You are of course in the heart of this formidable area of vineyards, idyllic villages, world-renowned towns and summer landscapes of sunflowers and lavender both in Les Alpilles and beyond. 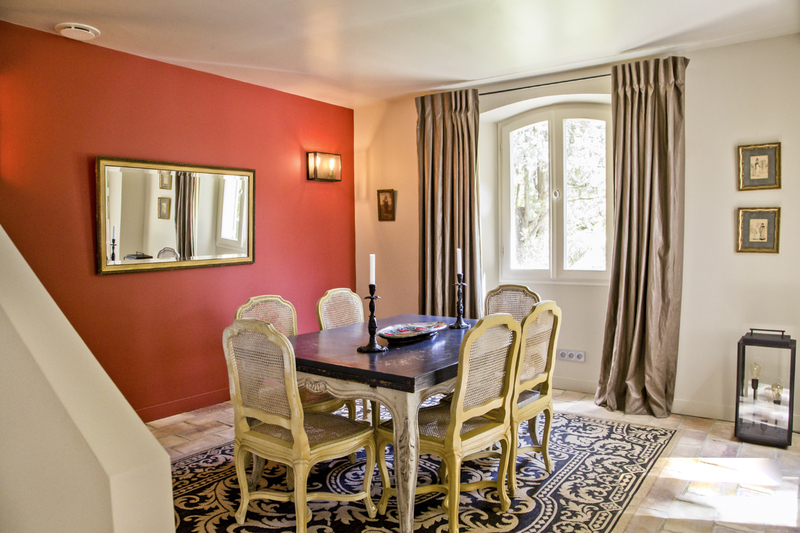 Eygalières, Les Baux-de-Provence and Avignon are all within easy reach as well as Van Gogh’s beloved Arles, mesmerising Luberon and the wonderful Camargue, which can easily be visited in a day. Whether exploring the local markets, cycling through lavender fields or pony trekking through the magnificent countryside, this region is sure to offer memorable activities for all ages. 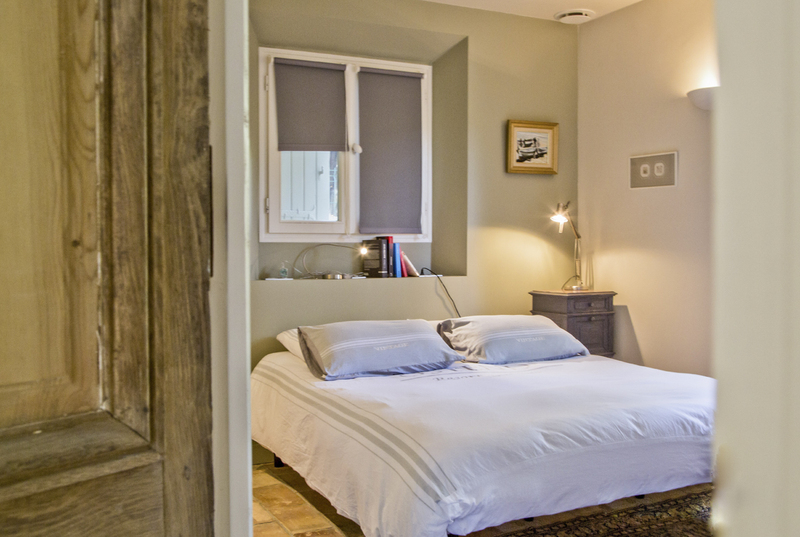 After a day exploring you can return to your immaculately restored restful farmhouse and relax in the calm surroundings of this delightful part of Provence. 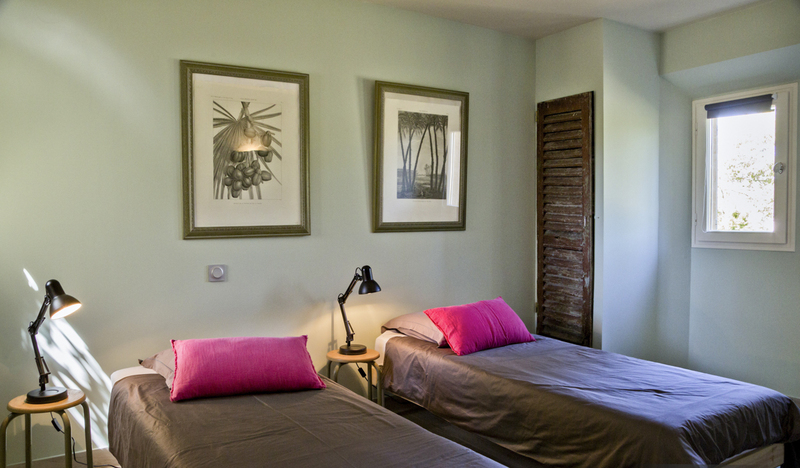 Le Mas Coquelicot is located a fifteen-minute walk to the centre of St-Rémy (1.3km), an idyllic Provençal village in the heart of Les Alpilles National Park. The village is well known for being popular with artists, many live in the area and display or sell their works of art in the village’s art galleries. The most famous artist of all has to be Vincent Van Gogh who checked himself into the asylum St Paul de Mausole, which can be visited today, and created 150 paintings including ‘Starry Night’. In the summer months, on selected Sundays, the ‘Route des Artistes’ fills with local artists showing off their work creating a wonderful and bustling atmosphere. The town is also famous for its many restaurants, from down to earth bistros found on pretty narrow streets to Michelin starred establishments. 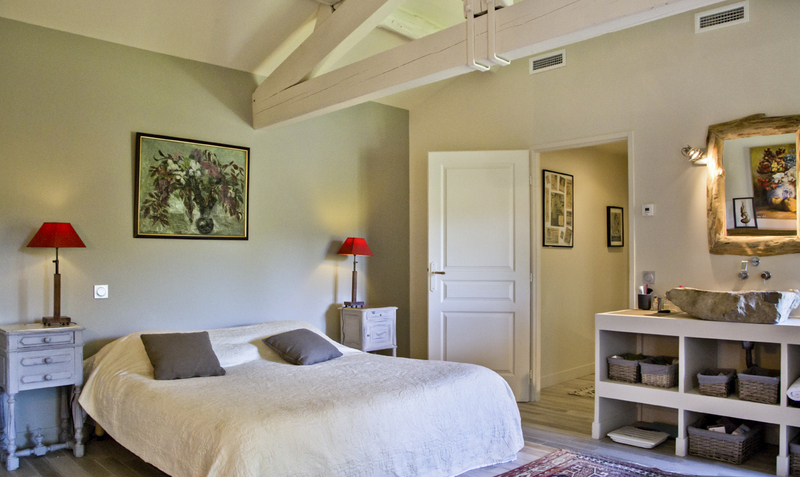 The surrounding countryside is rich with olive groves and vineyards with private tours and tastings easily arranged. Food lovers, don’t miss the market on a Wednesday morning! 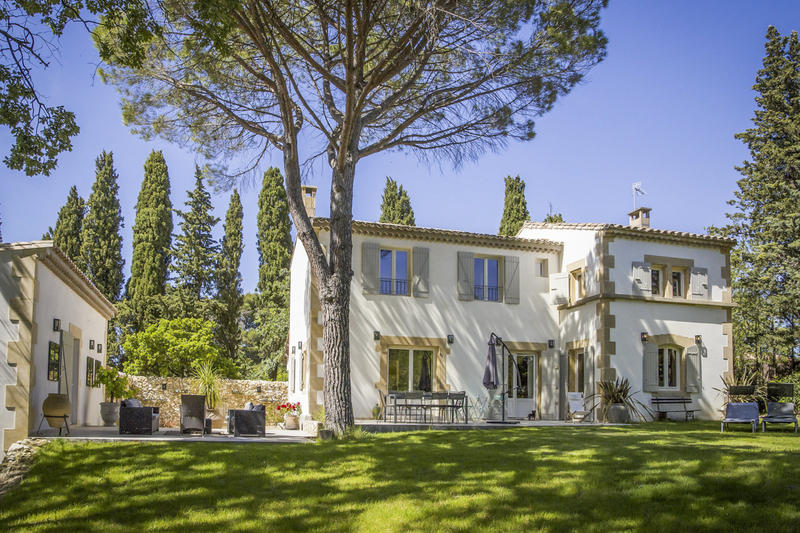 You are of course in the heart of this formidable area of vineyards, idyllic villages, world-renowned towns, and summer landscapes of sunflowers both in Les Alpilles National Park and beyond. Baux-de-Provence, one of France’s acclaimed ‘plus beaux villages’ and Van Gogh’s precious Arles, are both within easy reach. Gordes is yet another one of the beautiful villages worth visiting with stunning architecture, set in the outstanding Luberon region, surrounded by lavender fields in the summer months. Don’t miss the lively city of Avignon during your stay. Explore the winding medieval streets, experience further excellent dining opportunities and visit two UNESCO world heritage sites, the Pope’s Palace and Saint Benezet Bridge. The covered market offers all sorts of delights or head to the weekend farmers, flower and flea markets for wonderful local produce and a bargain or two.